Most breastfeeding problems occur in the first two weeksof a child’s life, so many new moms just throw in the towel. Studies show that although over 80% of women start breastfeeding in the hospital, only 12% of babies in the U.S. are getting any breastmilk at 6 months of age. Purchase Your Paperback or Digital Copy Today! 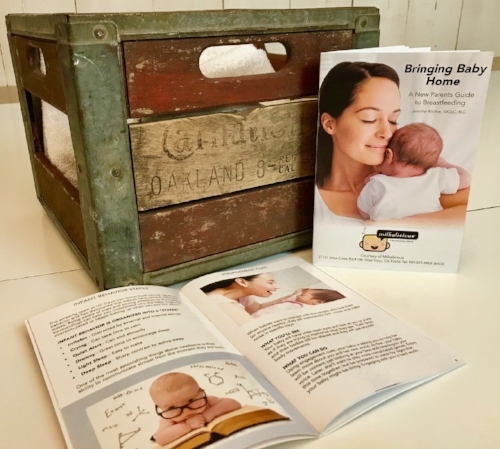 Jennifer Ritchie is a full-time working mom, Internationally Board Certified Lactation Consultant, and owner of Milkalicious, located in Mission Viejo, CA. Milkalicious was inspired by her personal cause to provide community-based, long-term support for breastfeeding mothers. For over the past 8 years, she has helped over 4,000 new mothers successfully breastfeed.